The Shammane smartwatch, a fashion-forward device designed with women in mind, has just landed on Indiegogo. Like many hybrid smartwatches we see entering the market, this one focuses on being a watch first and a tech device second. 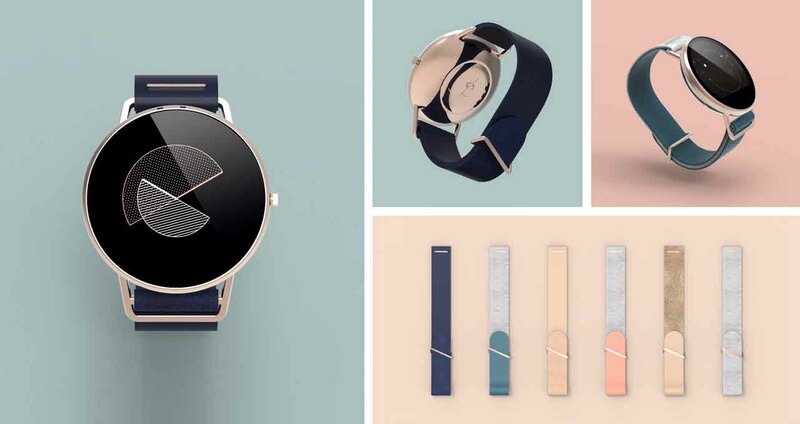 Special attention was paid to designing the watch to be fashionable, elegant, and reflective of a more feminine look, which is a big trend in the smartwatch industry right now. We found that Motorola's second-generation Moto 360 with 42mm case is the best fit for women so far. The 39mm watch case is round and made from polished rose gold-plated aluminium. You can choose from three bespoke watch face designs so far to match your outfit. There are also six removable straps using a "flash system," which means the bands have a quick release mechanism. The Shammane smartwatch features a healthy amount of tech to support the "smart" part, too. When connected to your iPhone or Android device through a compatible app, you will be able to see a number of different notifications, like texts, incoming calls, calendar reminders, and third-party notifications that you have set up on your smartphone. There's also a pedometer for basic step tracking. The device has a 1.22-inch LCD touch screen with a 240 x 240 pixel resolution which appears to have a pretty substantial flat tyre like the Moto 360 2. The company boasts that the battery can last up to three days between charges, though, and it's IP67 water resistant in up to one meter of water. During the Indiegogo campaign, you can pledge as little as $249 for a watchcase and two interchangeable straps. Additional pledge tiers include more straps and two watch cases. The largest pledge tier includes one Shammane smartwatch with all six straps for $549. Expected delivery is for June 2016.